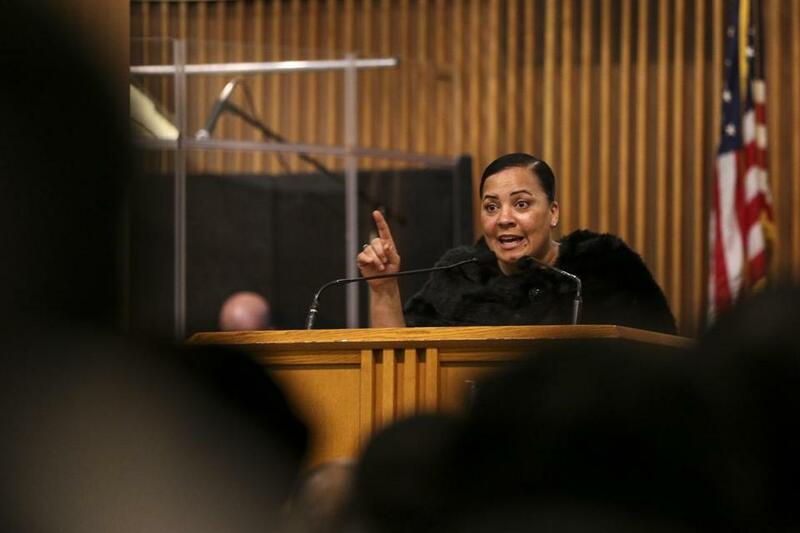 Suffolk County District Attorney Rachael Rollins. Senator Elizabeth Warren had a gaggle of aides befitting a presidential hopeful, and Representative Ayanna Pressley was name-checked by nearly every other Democrat delivering a speech. But even the Democratic party’s biggest stars could not match what Rachael Rollins brought to Monday’s Martin Luther King Jr. memorial breakfast: A multi-person film crew, following nearly every movement and conversation as Suffolk County’s new district attorney worked the third-floor ballroom at the Boston Convention & Exhibition Center. So has been life for Rollins in recent months. The film crew, which she said is developing a documentary for the streaming platform Netflix, has been tagging along at forums, public events, and debates since last spring, when Rollins was just one of many seeking the office’s Democratic nomination. Rollins eventually broke the glass ceiling, becoming the first woman of color to hold the role, and they quickly asked to stay on to film her transition, inauguration, and now the early days of her tenure. She then broke the fourth wall, of sorts, describing to reporters the back story as a camera rolled nearby. According to Rollins, the documentary is also focusing on Sean K. Ellis, who authorities alleged was responsible for the 1993 killing of Boston police Detective John J. Mulligan and had been imprisoned for more 22 years until he regained his freedom in 2015. It was then a Superior Court judge ruled that “justice may not have been done’’ because of corruption within the murder investigation. The state’s highest court upheld the ruling in 2016, and Suffolk prosecutors, under Rollins’ predecessor John Pappas, announced in December that they would not retry Ellis because they believe they could not win a conviction. Meanwhile, a film crew has followed Rollins, often to public events but also during more private moments. They were inside her home on the day of her inauguration, and were in the “green room” while she prepared for the ceremony with her family. Representatives from Netflix did not immediately return a request for comment Monday. There have been limits, though. Rollins said she has not allowed them to record discussions about filing charges in cases, a decision she said was out of respect for victims and their families. There are also personal barriers. “Believe me, they sent a text to me this morning at about 6:50, saying they were outside of my home and could they come in and mic me up — which I did not answer,” Rollins said. The crew was at her heels for most of the morning, however.